To help consumers find what ski is best for them, I am working on a gear finder tool for K2 Sports. 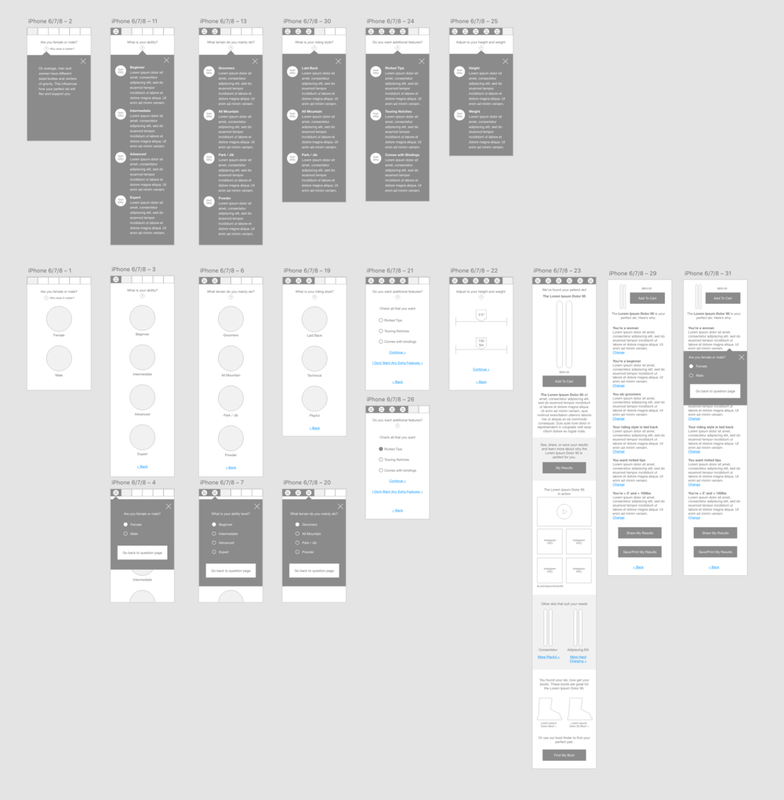 Starting with a user and wireframe flow chart, I collaborated with the web team to identify the path the user would take to find the ski best suited for him or her. After blocking out the questions and steps the user will take, I created wirefames and a clickable prototype the demonstrate the tool's functionality. Now, I am working on styling the pages and creating UI elements and icons.